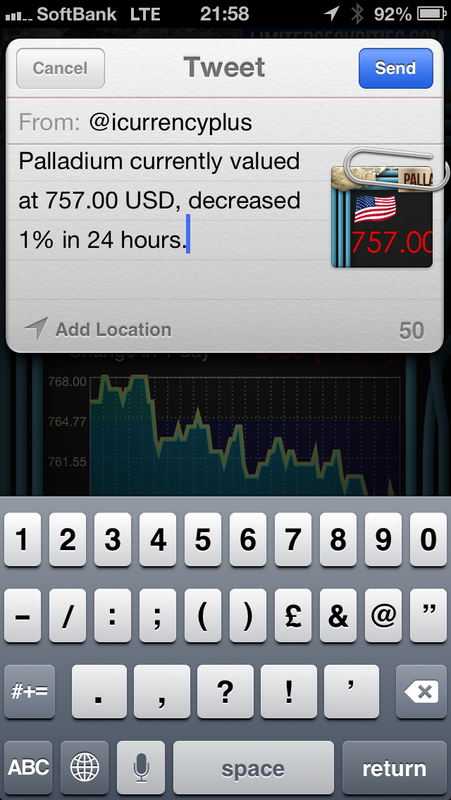 iCurrency Plus' Blog | An easy and yet powerful application to track currencies and be on top of the exchange rates. Starting from today, we are supporting BitCoin. The virtual currency has had a lot of traction and coverage in the news recently (you can see a few here), so we have decided to add it. 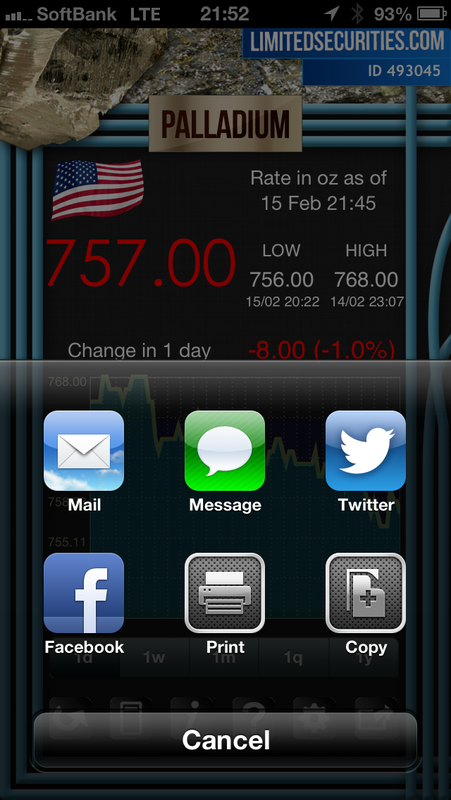 Here you have a screen shots of iCurrency Plus for iPhone and the soon to be released iGold. 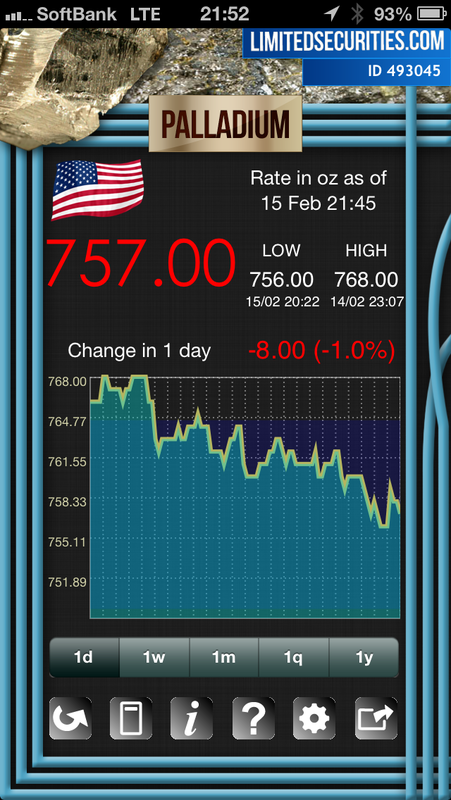 As of today you can only see daily charts, but as time passes by more charts (weekly, monthly … etc. ), will be available. To add BitCoin to your list of currencies, search for the symbol BTC. We are hoping to have them ready to download in the store by the end of this month. 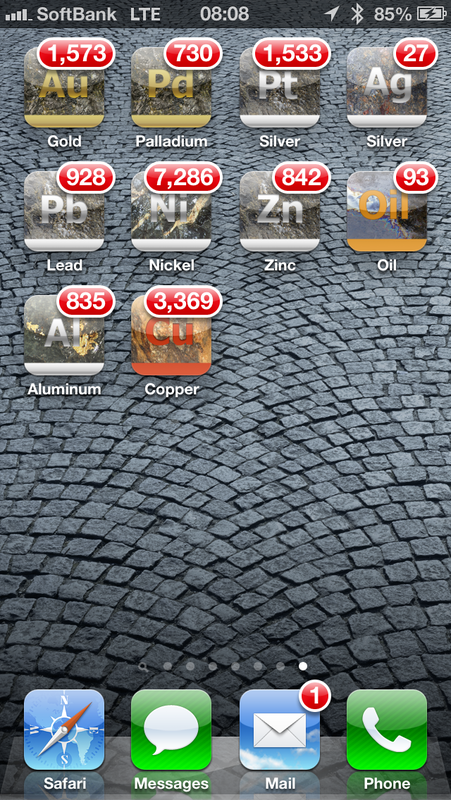 On top of the current apps Gold, Silver, Palladium, Platinum and Oil, we will be also releasing the Industrial Metals: Copper, Nickel, Aluminum, Zinc and Lead. Remember that all these apps show the price of the metal in the icon badge, a unique feature that no other app in the store has. We hope you like these new apps and updates, stay tuned! We hope you find this tip handy, in case you did not know! iCurrency Plus and all other applications will not be available due to server maintenance. Due to a sudden server maintenance, all our applications will be unavailable on Sunday January 13th, from 9:00 AM JST for around four hours. We are doing some electricity maintenance and all servers have to be shut down until we finish. This will be in approximately eleven hours at the moment that this post is being published. Apologies for the inconvenience!